Our Custom Rolled Cigars are now available online! We have had many requests from those who have visited our shop in St. Kitts and enjoyed our Custom Rolled Cigars. We have now made them available through our online shop and can be shipped directly to you. These cigars were made by a Cuban Roller from Habanos who has been rolling cigars at our shop. The tobacco is all Cuban and is supplied by Habanos themselves. We have three (3) sizes available: Robustos, Marevas, and Panetelas. Each size is packaged in bundles of 10 cigars. Please click the link below to see our exclusive Custom Rolled Cigars. Click here for our Custom Rolled Cigars! https://www.lacasadelhabano.kn/wp-content/uploads/2019/03/custom-rolled-lcdh.jpeg 330 900 LCDH St. Kitts https://lacasadelhabano.kn/wp-content/uploads/2016/03/lacasa-300x80.png LCDH St. Kitts2019-03-26 11:48:212019-03-26 11:49:04Custom Rolled Available Online! New Stock has Arrived ! Just a quick note to let you know that we received some new stock which is now available at our online shop. 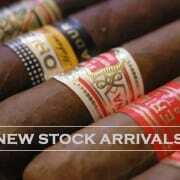 The stock arrival includes a nice range of Cuban cigars that will appeal to everyone. Here is a small list of what has just arrived…. Head straight to our online store! 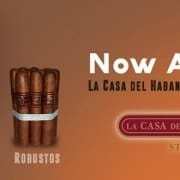 https://www.lacasadelhabano.kn/wp-content/uploads/2019/02/new-stock-9900000000079e3c.jpg 633 845 LCDH St. Kitts https://lacasadelhabano.kn/wp-content/uploads/2016/03/lacasa-300x80.png LCDH St. Kitts2019-02-27 19:42:442019-02-27 19:42:44New Stock Arrival! The 10% discount will automatically be applied to your shopping cart once you have reached 500.00 USD. This is a great opportunity to stock up your humidor !! 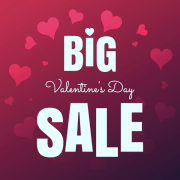 ** Sale Ends on Thursday February 28th.